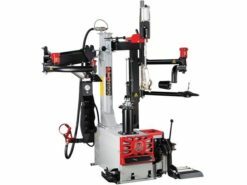 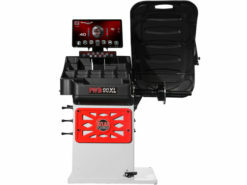 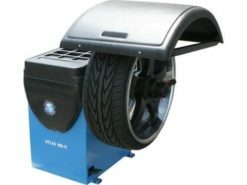 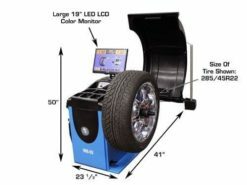 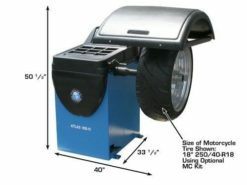 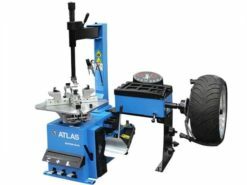 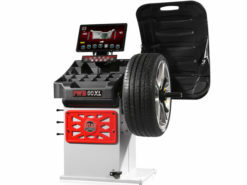 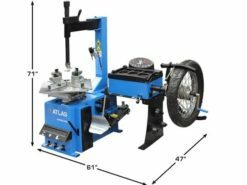 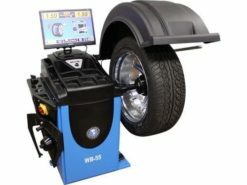 This machine offers Super Automatic 3D Data Entry via a single data entry gauge for offset and diameter, and touchless sonar for rim width (no old-fashioned measuring arm). 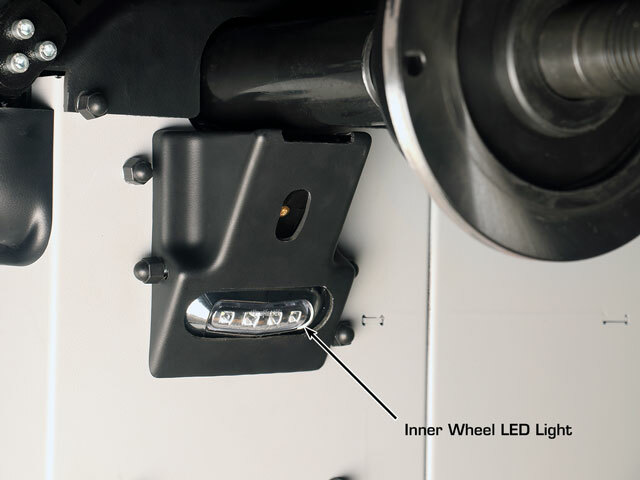 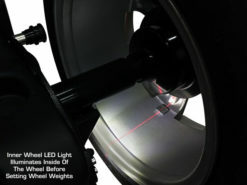 Using the weight placement arm, the user can choose the most convenient location to put the weights, and a laser will guide the operator back to the exact location after the spin cycle, eliminating any possibility for human error and ensuring first time zero/zero results. The Fast & Easy Split function (FES) makes hiding adhesive weights behind the spokes a breeze and the Opposite Weight Function (OWF), allows the operator to change the weight application position from 12 o’clock to 6 o’clock for convenient access when applying adhesive weights. 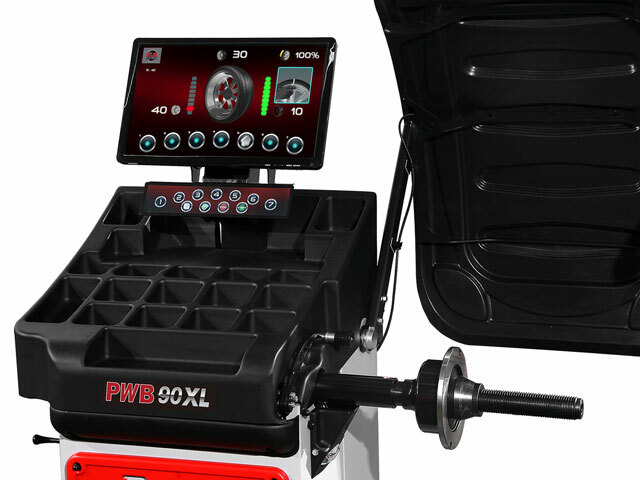 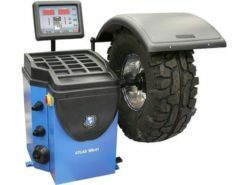 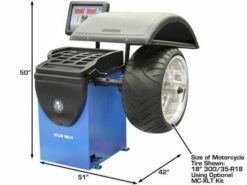 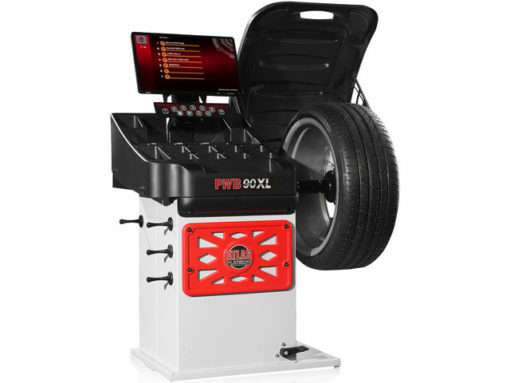 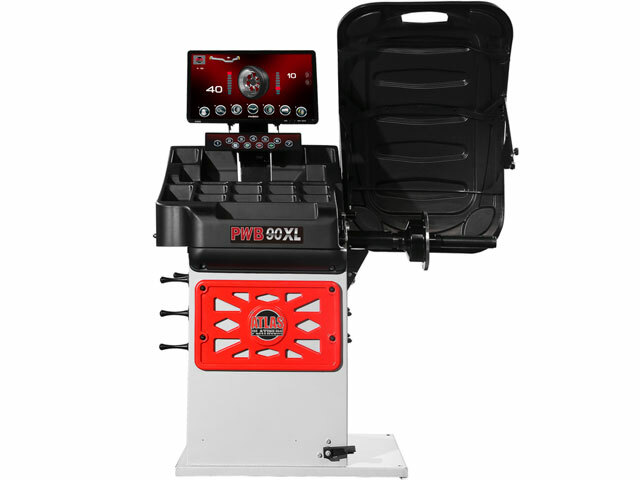 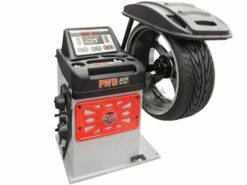 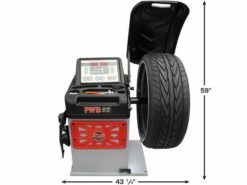 Optimization of tire and wheel unbalance (match mounting) is possible with the PWB50 via OPTIMATCH software and makes balancing even the most difficult assemblies easy and efficient. 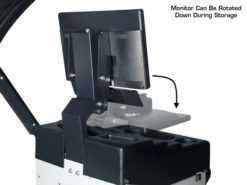 For a video demonstration, click HERE.